Since 2004, Broadband.com and CenturyLink have partnered to install over 2,600 circuits to businesses and educational institutions throughout the United States. 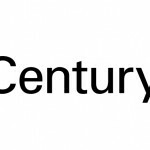 CenturyLink is the 3rd largest telecommunications company in the United States, providing broadband services to business customers through it’s advanced fiber-optic network. CenturyLink is an S&P 500 company and included among the Fortune 500 list of America’s largest corporations. Acts as local exchange carrier in 18 states. Acquired Savvis, Qwest and Embarq to provide one the most robust IP networks in the United States.